Former South African President Nelson Mandela passed away today. Most well-known for his role in helping South Africa transition to a multi-racial democracy after having been imprisoned by the apartheid government for 27 years, Mandela was a human rights icon. His ability to work peacefully with the apartheid government after such a long period of imprisonment—and his ability to reach out to white South Africans in order to begin a long process of reconciliation in the country—made him an important leader to many South Africans. And at the international level, Mandela lent his voice to several causes, particularly in combating the HIV/AIDS crisis and prompting rural development and the expansion of education in the global south. 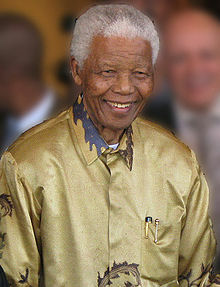 A short video by the New York Times outlines Mandela’s achievements, particularly as the first black President of South Africa. Mandela’s passing provides an important moment to remember his legacy and to reflect on the role of individual actors in global politics. 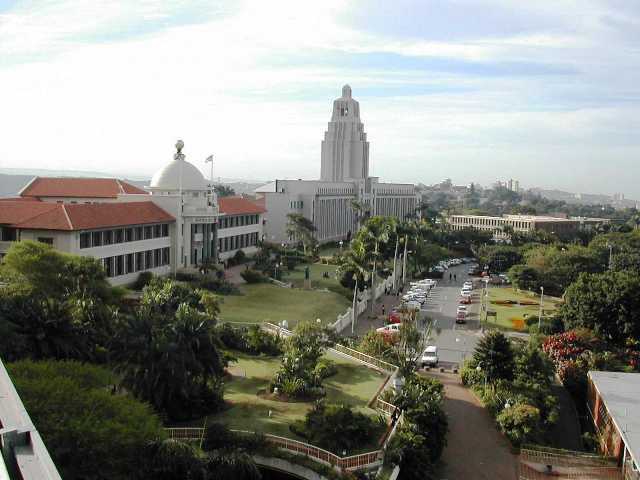 University of KwaZulu-Natal Main Campus. South Africa is an incredibly diverse country, with 11 official languages and dozens of distinct ethnic groups. Zulu is the mother tongue for approximately 23 percent of South Africa’s population, but is spoken by about 80 percent of the population of the province of KwaZulu-Natal. The language question in South Africa, as in many other developing countries, is closely tied to the question of national identity. While Zulu is the most common mother tongue in South Africa, Xhosa (16%), Afrikaans (14%), English (10%), Sepedi (9%), Setswana (8%), and Sesotho (8%) are also widely spoken. Because the postcolonial boundaries often amalgamated a wide variety of national groups, boundaries between the nation and the state rarely corresponded. Postcolonial governments thus faced a challenge of developing a common sense of identity across a variety of national and ethnic groups. 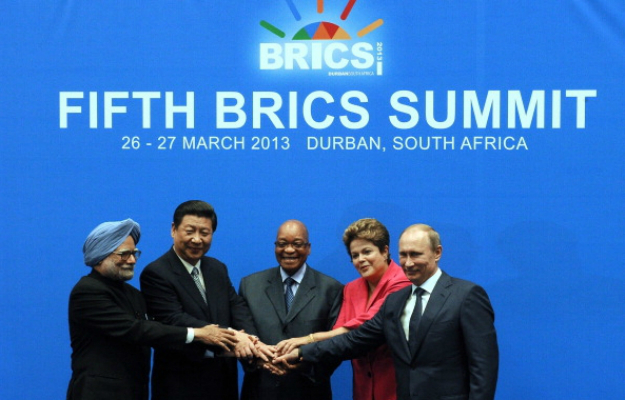 This was often referred to as nation-building. But national identity cents on a wide variety of variables: religious beliefs, traditions, and customs, shared history, a common language, and so on. While UKZN’s move was welcomed by some, others argued that the move was just a political ploy to garner the favor of South African President Jacob Zuma, who is Zulu. What do you think? Is the kind of common language education being imposed by UKZN necessary for nation-building in South Africa? Or does it violate the rights and freedom of students to chart their own course of study? Take the poll or leave a comment below and let us know what you think. 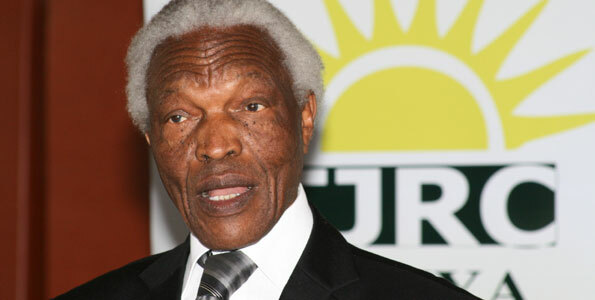 Bethuel Kiplagat, Chair of Kenya’s Truth Justice and Reconciliation Commission in 2010. The report comes at an interesting time in Kenya’s political history. About six weeks ago, Uhuru Kenyatta won the presidency and was sworn into office. However, Kenyatta has been charged by the International Criminal Court with orchestrating some of the violence following the last presidential election. That violence resulted in more than 1,500 deaths and displaced more than 300,000 people from their homes. 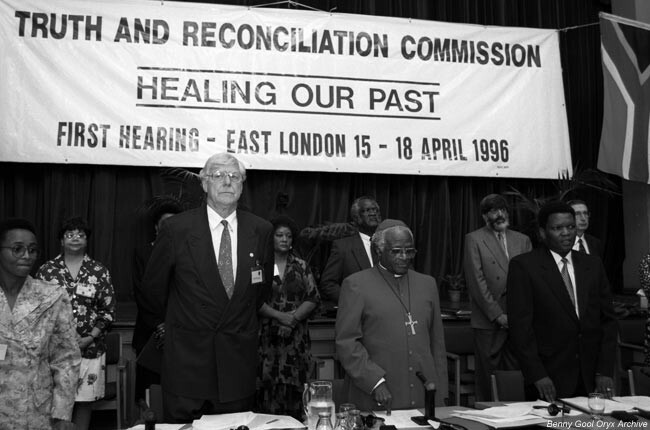 Archbishop Desmond Tutu presides over South Africa’s Truth and Reconciliation Commission. years. One of the earliest was Argentina’s National Commission on the Disappearance of Persons (the Comisión Nacional sobre la Desaparición de Personas, or CONADEP). CONADEP was established shortly after the collapse of Argentina’s military government in 1983, and was charged with investigating the fate of the estimated 30,000 persons who were “disappeared” by the Argentine government between 1976 and 1983. Perhaps the most famous was South Africa’s Truth and Reconciliation Commission (TRC), which was established in 1995 and was charged with witnessing and recording the crimes and human rights abuses committed by both state and opposition forces during the apartheid era. Other notable examples include Brazil’s Comissão Nacional da Verdade, which is currently investigating human rights abuses by the country’s former military government, and Canada’s Indian Residential Schools Truth and Reconciliation Commission, which is currently investigating human rights abuses in the country’s residential school system for the Canada’s first nations. Most truth and reconciliation commissions represent an effort to expand understanding rather that to achieve justice. They generally lack the power to prosecute offenders. Indeed, in many cases, like the South African TRC, individuals offering testimony before the commission were generally granted amnesty for any confessions they offered. The emphasis, in other words, is on promoting transparency and providing a historical record and testimony rather than on achieving justice in the traditional sense. But this also a source of controversy, as victims can sometimes feel as though the perpetrators of violence and human rights abuses can escape punishment. What do you think? Do truth commissions represent an instrument of justice by witnessing and providing a historical record of human rights abuses? Or do they undermine justice by permitting human rights abusers to escape criminal prosecution? Leave a comment below and let us know what you think. A Realistic Policy in Iranian Nukes? Stephen Walt offers an interesting critique of John Bolton’s “unrealistic realism” this week. Bolton was on the Daily Show last week, offering his usual policy advice on Iran, namely, that the United States should do whatever is necessary to stop Iran from acquiring nuclear weapons. But what is interesting about Walt’s analysis is his discussion of how unrealistic such a policy is. According to Walt, any U.S. efforts to prevent Iran from acquiring nuclear weapons will likely either involve the use of coercive diplomacy, which runs the risk of helping Iran to overcome internal political differences which might produce a more open government or runs the risk of involving the United States in another protracted ground war with no clear end in sight. Neither case seems particularly promising. Yet Bolton’s dream of a world in which the United States is the sole nuclear power, able to cajole others into ceding to its demands, is—as Walt discusses—also highly unrealistic. Such a world would only create greater impetus for other countries to acquire nuclear weapons for themselves. And contemplating such a world only creates greater incentives for countries to acquire the deterrent capabilities (glossary) nuclear weapons afford. So, in essence, the greater the force the United States brings to bear on a country to end its nuclear program, the greater the pressure for that country to actually develop and deploy its own nuclear weapons. It is worthwhile to recall that South Africa is the only country to ever give up its nuclear weapons after developing a nuclear weapons capability. And it’s even more important to remember that it did so not because it was under immense external pressure (or indeed threat) to abandon its nuclear weapons program. South Africa gave up its nuclear weapons because of (1) domestic political pressure to do so, and (2) because its external security situation no longer warranted the need for such weapons. Bolton’s proposed stance ensures that neither of those two criteria would be met in the case of Iran. Hardly a hopeful situation.